Taking mischief to a new height....literally. Now if we could only figure out how to join her! What a clevers Push-T-Cat. If she tells you how she did it, let us know, that could be a fun trick! OMC. How did she do that? Oh My! How did she get way up there? Hope she manages to get down OK LOL. Nice to be back. Have a marvellous Monday. Wow how did she get up there?! Don't jump!! Do NOT jump! Wow- what a trick! At least she's putting on a great show for you, even if you can't join her. Those cats are so nimble- it's incredible really! 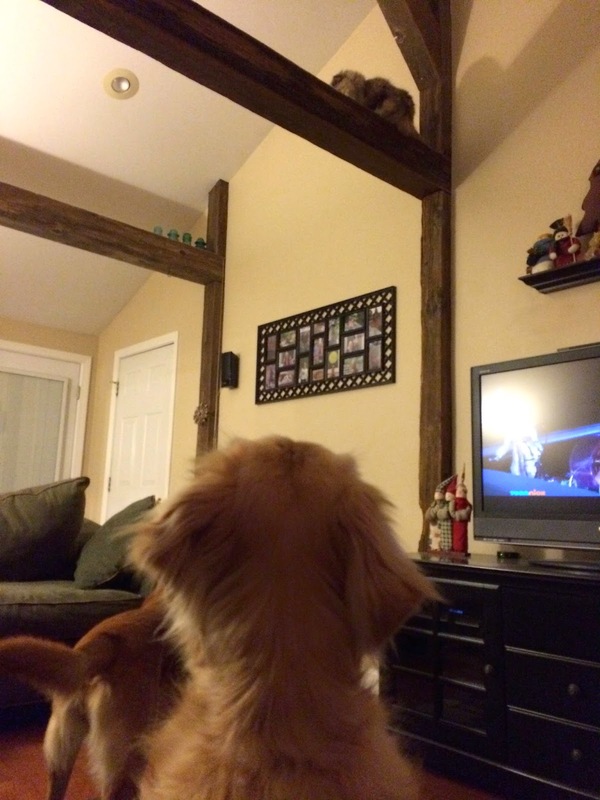 Imagine if dogs could climb like cats? Now that is scary! Good hiding place away from the dogs! We want up there too! Oh those kitties! Always so much trouble! Our cats are the ONLY ones in the house who cause mischief! Belle is quite a climber! I can see the dogs are green with envy (-: Great photo! I'd love to know how she got up there -- and how she got down. That's always the trouble with my kitties. Getting up is easy and they forget there's a downside until it's time to come back to earth. --Wags and purrs from Life with Dogs and Cats. Oh my! How'd she get up there!? 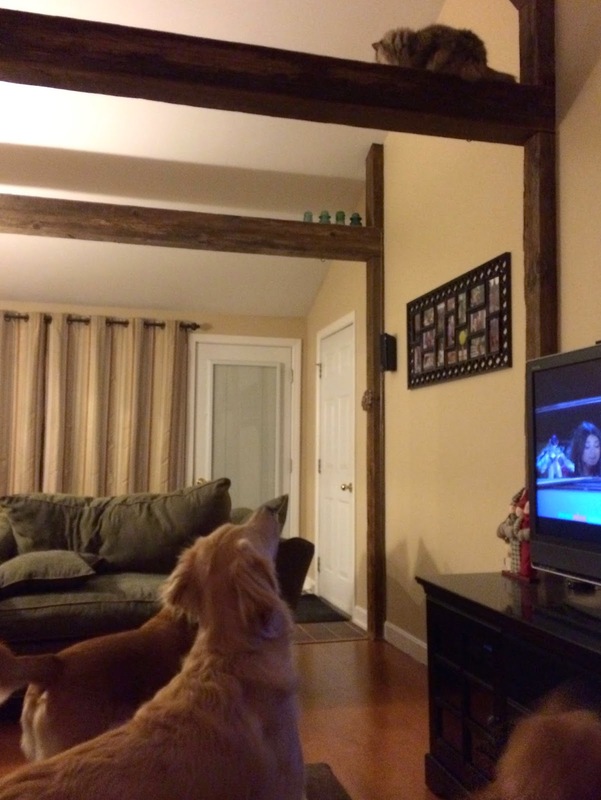 Are the dogs offereing to catch her, or just encouraging her to jump? How in the heck did she jump up that high? !